Traditional marquees for all types of events. A choice of traditional and modern designs. Is there anything more summery than a good ol’ marquee wedding? The sun is shining outside, the grass is lush and the flowers in bloom. Inside the marquee, the tales are set, the decorations are up and the dance floor ready for when the sun goes down. There’s a bar, toilets, even windows and a wooden floor. It’s the perfect environment for a summer wedding. And, if there is a brief summer shower (this is the UK after all) then your day is far from over. 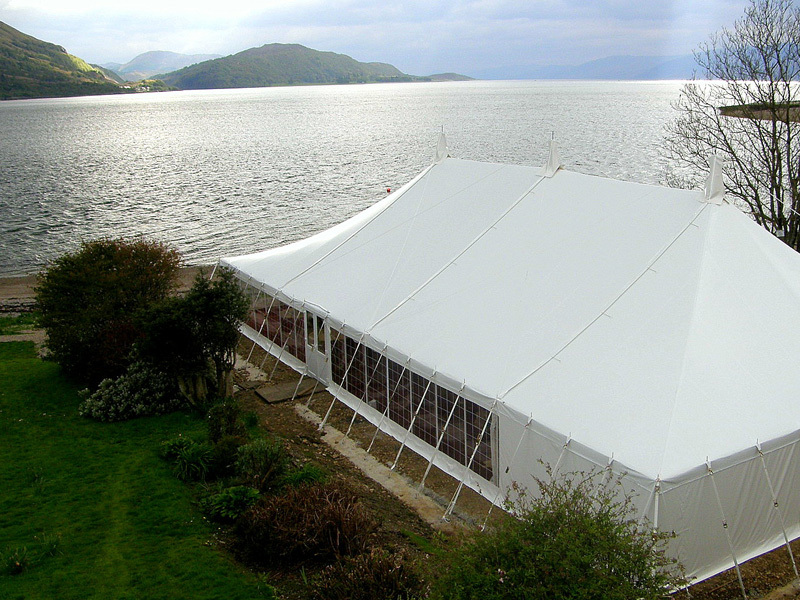 Here at Weatherill Brothers, we’ve been making and hiring marquees for over six decades. So we know better than most just how perfect they can be for your big day. We also know what it takes to make a great marquee, and fit it out with all of the facilities and amenities above. Sometimes people think marquees are simply big tents, but there’s a lot more that goes into making these semi-permanent structures work. If you’d like to know more about our wedding and traditional marquee hire, then get in touch with a member of our team. We can custom make marquees to suit your needs, or simply create linings, windows, toilets or more to suit your existing space. Marquees offer a flexible and versatile space to host a wedding. They can incorporate dance floors, toilets, catering facilities, bars and everything else you need to have the most special day of your life. However, not every type of marquee is suitable for a wedding. Some of the more modern designs might work at certain wedding events. However, if your business is providing wedding venues and spaces, then it’s probably a good idea to opt for a more traditional style. This will have a more broad appeal for your wedding.